Here we have a wonderful offer; a small, compact little house in the village of Chomakovtsi with a garden of 1350 sqm. The house has three rooms and is approximately 50 sqm in size and in need of some repairs but at this price one would expect it. The property, although small, is quite bright, sitting in a lovely sunny position in a quiet corner plot close to the village centre. The plot is totaly flat so extending the house would be no problem at all for the future owners. The garden is fully fenced. The property is reached by asphalt roads and is accessable all year round. There are a growing number of British in the village. Chomakovtsi is a friendly, clean and quiet village. 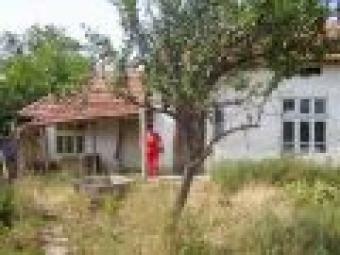 Yet another cheap investment property from Bulgarian Village Homes!